3 Bedroom Semi Detached House For Sale in Chesterfield for £165,000. 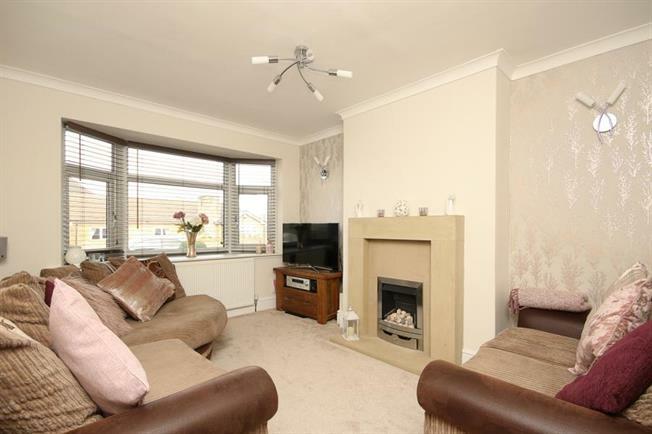 Please Do Not Miss This Chance To View This Beautifully Presented Three Bedroom Semi Detached Property With Off Street Parking And Detached Garage. With a range of popular local amenities and public transport links and situated in the ever popular area of Duckmanton. Entrance leads into the hallway and provides access to the lounge/dining room with feature fireplace. The modern kitchen benefits from a range of wall and base units and fitted appliances. There is access from the kitchen to the side of the property which leads to the rear garden. Stairs lead to the first floor and two nice size bedrooms and one smaller bedroom. The family bathroom benefits from w,c, wash hand basin and bath with shower above. Three public houses, the Arkwright Arms, The Little Castle and the Duckmanton Hotel. A local Primary school, Duckmanton Primary School. Duckmanton is approximately 4.3 miles via the A632 to the Chesterfield Town Centre.